Any athlete at the elite level will disguise a longer break from the sport he or she loves. But some breaks are unavoidable and they may in fact be beneficial for the continued success on the athletic playing field. Once one is denied something one took for granted in the daily life one gets to reevaluate what really matters and view one’s daily routines as a spectator. I admit I have run through some injuries thinking my sponsors/fans/coaches wants to see me perform no matter what. As athletes we are often assessed based on our latest performance. That is not the whole truth but unfortunately very true. The title of my blog – World Wide Måre – gives away that exploring is a central part for keeping me going. I took my first steps since my November heel surgery at New Year’s in Florida, which until then had been an unexplored US state for me. 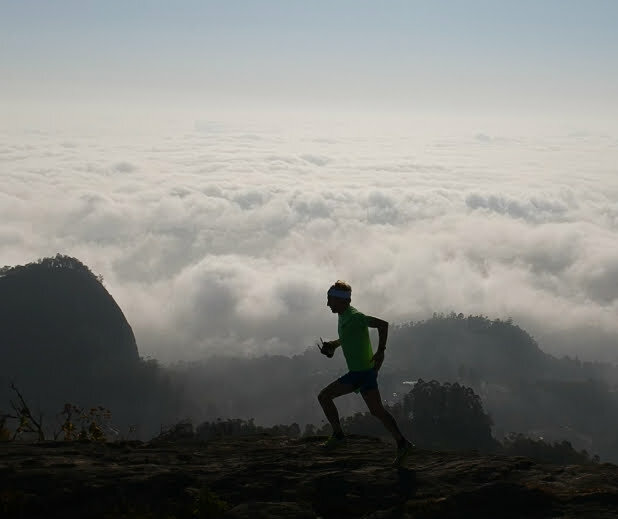 My first attempt at faster strides took place in Kenya’s Taita Hills a couple weeks later. I acknowledge I will only be able to run atop new mountains and get to know any new trail by staying healthy. Also, medal performances will only be possibly by listening to my body along the way and let it take any time needed before lashing into the next maximal workout. I am still spending a lot more time on rehab exercises than running and it shall be that way until I feel that my body is ready to perform. At the starting line of the World Champs in Latvia in August I want to be 100% without any doubts from my body!